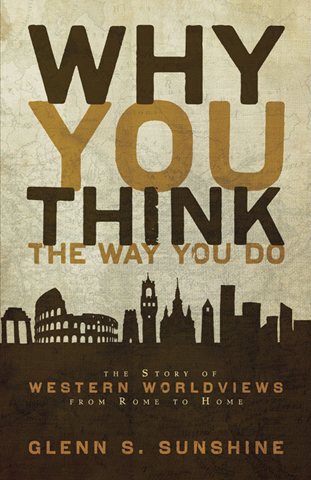 Congratulations to Tracy W. for winning the random drawing for Why You Think the Way You Do by Glenn Sunshine, graciously provided by Zondervan! Many thanks to everyone who entered the drawing. Look for more giveaways in the very near future. The following are four questions posed by readers to Jim Spiegel in response to his interview here this week. Jim kindly agreed to answer these follow-up questions, and his comments are below. Thanks again for your thoughtful questions and opinions, both pro and con. 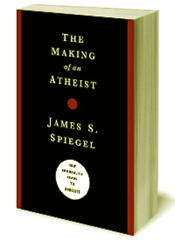 The winner of the free copy of The Making of an Atheist is J. W. Wartick! It seems to me that in various beliefs, both simple and major, that often the head follows the heart. Augustine, Edwards and various other Christian theologians have emphasized the role of desire in leading someone to hold certain beliefs. I’ve wondered if this might be what Luther had in mind with his statements such as “reason is the devil’s whore.” Would you mind discussing the role of desire in the life of the mind? Thanks. In my book I discuss this very issue, noting that, as William James once noted, a person’s will often prompts one to believe certain things, particularly where reason cannot decide an issue one way or another. However, I would go a step further than James and note that a preference for a particular position or worldview may tempt a person to believe something against the evidence. This is “motivated irrationality,” as some scholars have phrased it, and it constitutes a form of self-deception. I think this is just the sort of thing that Luther had in mind with that phrase about reason being the “devil’s whore”—reason can be co-opted to serve just about any desire or predilection. This is why it is so important that the Christian scholar actively submit her/his intellect to God and the authority of Scripture. (1) Why should an atheist accept your account when it presupposes the truth of precisely what the atheist denies the existence and authority of? I grant that my specific account of atheism presupposes the truth and authority of Scripture, but my intent in the book is not to persuade the atheist of the truth of my account based just on premises that s/he presently accepts. That would necessitate my first demonstrating the existence of God, and that’s not the purpose of my book. Having said that, as I show in my book, there are many insights from diverse academic fields (e.g., history, psychology, and philosophy) that confirm the reality of many of the causal dynamics to which I appeal in my explanatory account of atheism. So I do think that my account would still enjoy a certain amount of evidential warrant even when considered in isolation from the Scriptural considerations that inspired it. (2) Your claim that cognition-distorting sinful behaviors and wickedness underline atheism is an empirical one for which, as far as I can tell, there is little evidence. Presumably, more secular or irreligious communities and nations should have higher rates of wickedness and immorality. What evidence are you relying on? · Theology: passages such as Romans 1:18-20, Eph. 4:17-19, John 3:19-21, and John 7:17, which confirm that beliefs are impacted by behavior, whether moral or immoral. · Psychology: specifically, “motivated bias” models of self-deception (such as those defended by James Peterman and Alfred Mele) and the “cognitive redefinition” belief-change theory of Edgar Schein. Such models are built upon, and aim to explain, behavioral data from empirical studies. As for your claim that my thesis implies that unbelieving peoples should have higher immorality rates, I suppose that might be true. But this would be hard thing to assess, since not all immorality is publicly observable, because various forms of conceit, hatred, hubris, lust, etc. 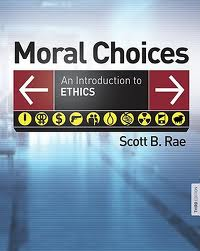 would (on a Christian view of ethics) be immoral but not necessarily behaviorally evident, much less ascertainable via a formal study. 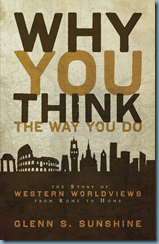 You suggest in the interview that you think current apologetics is lacking in ethical and psychological insights. How do you think we can go about filling in this hole within Christian apologetics? What role can sin play as a concept within philosophy of religion in explaining the desire to rebel against the moral concepts inherent in God? In writing my book I have addressed his lacuna, at least vis-à-vis the phenomenon of atheism. I tried to do something similar with my first book, which was on the subject of hypocrisy. I think it’s just a matter of apologists being more willing to bring moral and psychological insights to bear on their defense of the faith and, perhaps to a lesser degree, Christian ethicists and psychologists speaking to apologetic issues. As for your second question, that’s essentially the question that drove me to write The Making of an Atheist. Obviously, my discussion pertains to the rebellion against God generally (in the form of disbelief), rather than merely rejecting God’s moral nature. But it would be interesting to see whether, and to what degree, deists and heterodox theists might opt for their view—when it involves subtraction of the notion of divine moral perfection and moral demands on humans—precisely because of a distaste for all that entails (e.g., moral judgment, requirements for self-control, etc.). Jim’s blog tour continues for the next several weeks. You can find the complete schedule here. Thanks for the Comments and Questions! A hat tip to everyone who posted a comment or question related to Jim Spiegel’s book and interview. I’ve chosen four of the follow-up questions and forwarded them to Jim. I’ll post his answers soon, along with the winner of the Making of an Atheist book.